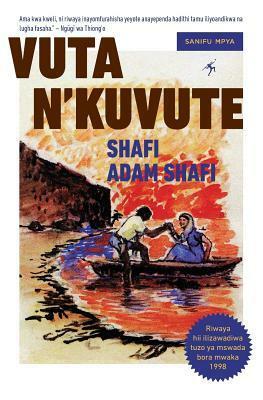 My English translation of the Swahili novel Vuta N'kuvute by Shafi Adam Shafi. 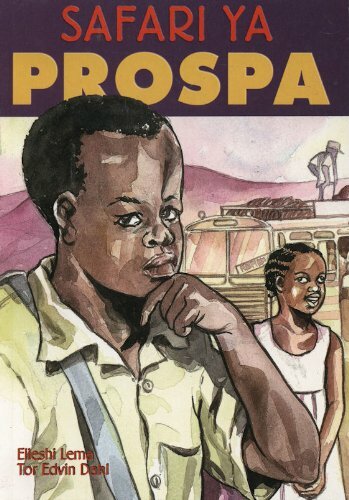 My English translation of the Swahili novel Safari ya Prospa by Elieshi Lema. JCompiler | A compiler for the J array programming language. PyxelDesigner | Build a retro game using the Pyxel game engine for Python. Hifadhidata | Solve SQL challenges, with solutions auto-verified against PostgreSQL. NyokaTofali | Use blocks to design solutions to Python challenges; solutions are auto-verified by backend. OpenPplSoft | An open source runtime for Oracle's PeopleSoft enterprise software suite. CertChain | A blockchain-based decentralized network consensus protocol for use in cryptographic certification and revocation of higher education credentials. MyLocker | Stanford University's central location from which students retrieve and send their electronically signed diplomas and certificates. Enterrupt | A university enrollment system that interfaces with PeopleSoft Campus Solutions via Integration Broker. SimpleEval | Stanford University's annual performance review application, used by 1,000+ Stanford faculty and staff each year. SimpleEnroll | Stanford University's course enrollment system, used by Stanford's 16,000+ student body throughout the year. VPharma-Calc | A dashboard indicating the amounts of various pharmaceuticals at wastewater treatment plants across the state of Virginia. NAVFIG Task Order | A more efficient way for NAVFIG personnel to manipulate geospatial data in a legacy database using their existing ArcGIS front-end. FNMOC Task Order | A JSP console and a set of geospatial data parsers allowing for the manipulation of geospatial weather observations and alerts. The resources, lessons, and software I developed while teaching various STEM topics to secondary school students in Tanzania are available here. My literary interests over the years. Everything there is to know.